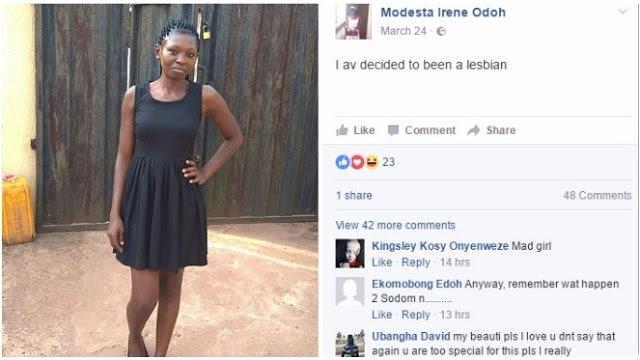 A university student, Modesta Irene Odoh shocked everyone after she revealed her decision to become a lesbian. She took to Facebook to keep her friends abreast on what should have been a private decision. In a simple but straight forward message, Odoh wrote: 'I have decided to been a lesbian.' She didn't have to tell us...but good she told us.